With the introduction of, what the Chancellor claims, is ‘the biggest affordable house building programme since the 1970’s, following his recent Autumn Statement, developers will begin the new year on a high’ with the prospect of even greater new build opportunities to come. And yet, while the news is good for the market, Shaun Peart, Managing Director of LSL Land & New Homes, questions what more could be done to help the market? “There’s no doubt that the new build market is doing well - as figures from our LSL Land & New Homes Index highlight. 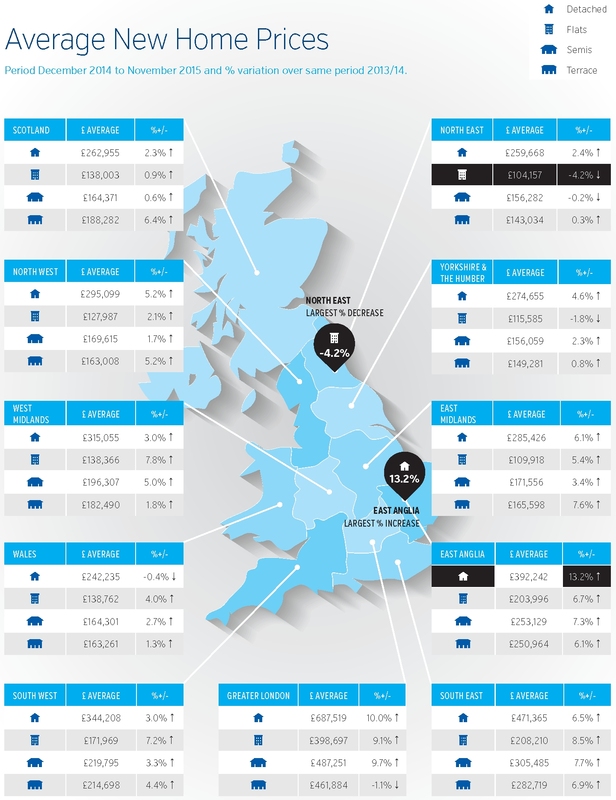 Upto the year ending November 2015, for example, there was an average 5.9% increase in new build property prices compared to November 2014 and, whilst slightly down on the 6.7% increase recorded for the period November 2013 to November 2014, it’sclear that London played its part in this with year on year price growth of 16.5% recorded compared to just 8.5% in the last year.